‘Stealth’ is the buzzword when we are talking about any modern fighter, bomber, warship or submarine. The top militaries in the word are spending billions trying to develop or ‘acquire’ stealth technology. But as is the case with science, the word ‘stealth’ is misunderstood by the general public. It is viewed as a phenomenon which is like magic and makes things invisible and invincible. In this article, I will explain the physics and engineering principles behind stealth technology and will try my best to give you a clear understanding of how this complex technology works. To understand stealth technology, we need to know about the basic working principle of a radar. A radar sends out electromagnetic waves, which reflect on an obstruction and return. This signal is processed in order to determine the exact position, size and direction of target. This spoils the element of surprise of the attacking party. This was observed during WW2 when British radars foiled surprise attacks by the Luftwaffe by detecting the arriving bomber fleets several minutes in advance and directing fighters to intercept them. The radar played a massive part in the cold war as well with each side developing new radars. Both sides worked on stealth technology, but it was the Americans who took it to the next level and made it operational. The concept of Radar Cross-Section (RCS) plays a big role here. RCS is a measure of how big an object appears on the radar screen. Larger the RCS of an object, the bigger it appears on a radar screen and vice versa. 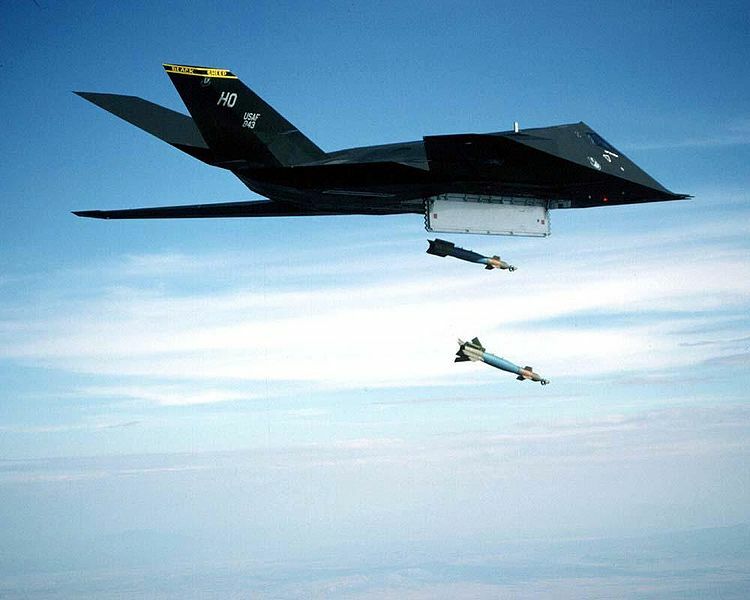 The B-2 and the F-22 have an RCS lesser then 0.0001 m2. This means that they are too small to appear on most of the radar screens which are currently in use. The image below provides a general idea of the RCS of common objects and high tech military aircraft. You see a butterfly flying a 10 meters from you, you have no trouble seeing it or tracking its movement using your eyes. Now if there is a fly at that distance, it would be impossible to visually detect it at that distance because the human eye cannot resolve such a small object over such a large distance. Now if the fly is 1 m away from you, you can detect it visually but you will still have trouble tracking it and getting a visual lock on it because it is so small. Killing it would be extremely difficult because of its tiny size. So we use our ears to detect the buzzing sound made by the fly to determine its approximate location and then visually cue in on it. But most of the times, the fly would have disappeared by the time we detect its exact location. This is how stealth technology works. The butterfly at 10 m can be compared to a conventional aircraft which appears as a big dot on the radar screen and the fly at that distance can be compared to a stealth aircraft which doesn’t appear on the radar screen because it can’t resolve the stealth aircraft at that distance. At a distance of 1 m, the detection of the fly can be equated to detection of stealth aircraft by modern radars. But just like the fly, these radars will have a hard time tracking the stealth aircraft and locking onto it even if it manages to detect it. By the time multiple radars, IR sensors, Optical sensors are combined to get a lock on the target, the stealth aircraft would have completed its mission and would be on the way home. So from this we can learn that stealth technology doesn’t make an aircraft invisible to radar but it delays the detection of the aircraft until it is too late for the enemy. So the accurate term for stealth aircraft is ‘low-observable’ aircraft. The radio waves are electromagnetic waves of varying frequencies. The methods of deflection and absorption of EM waves complement each other in order to create a stealth aircraft/ship. It is important to note that these methods reduce the RCS of the object to such an extent that it fails to appear on most radar screens. They aren’t invisible, but extremely hard to detect and generally are detected at ranges of 10-20 km by ultra-modern radars compared to 150-300 km for non-stealth objects. This enables them to maintain the element of surprise which is extremely decisive in a conflict. Radar Absorbent Material (RAM) coatings involve application of materials which can absorb electromagnetic waves on the object. USA has been the pioneer in this technology from the past 40 years. These are specially designed materials made from dielectrics, composites which absorb the radio waves which fall on them. Their contents are so highly classified that today we know that the US Air Force used iron ball paint on the SR-71 in the 1970s. Even though that RAM coating is 45 year old technology and not used today, we know only one constituent of it. 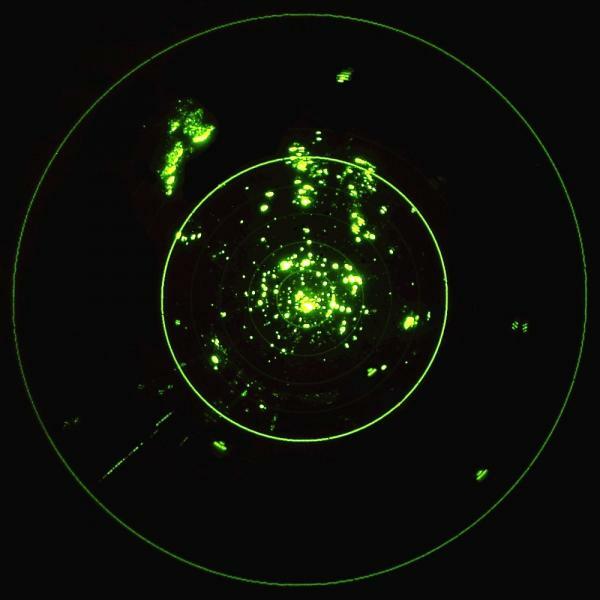 The radio waves fall on the paint and they are absorbed through multiple diffusions. This absorption is caused by conversion of radar energy into heat which is dissipated off the surface of the aircraft. This is one of the unclassified ways of how these materials work. To maximize the absorption of radio waves, the paint has a microscopic pyramidal structure in some cases. The pyramid shapes are cut at angles that maximize the number of bounces a wave makes within the structure. With each bounce, the radio wave loses energy to the foam material and thus exits with lower signal strength. Other foam absorbers are available in flat sheets, using an increasing gradient of carbon loadings in different layers. Shaping involves designing the object in such a way that the Radio waves the radio waves, instead of being reflected back along the same path are deflected and scattered in different directions. This is achieved by using sharply angled flat surfaces or special curved surfaces which conduct the radio wave along its surface and thus does not give back a reflection. The angled surface are highly prominent on aircraft like the F-117 and on stealth warships. These angled surfaces are combined with special curved surfaces on aircraft like B-2, F-22 etc. This helps to achieve a high degree of low observability. To obtain near perfect stealth, RAM coating + Deflecting design is necessary. This involves a higher degree of research and testing compared to conventional aircraft. That’s one of the reason that stealth aircraft are very expensive. The most widely spread misconception of stealth warships is that they are invisible to radar and are as stealthy as stealth aircraft. Stealth ships are in fact very much visible on radar. 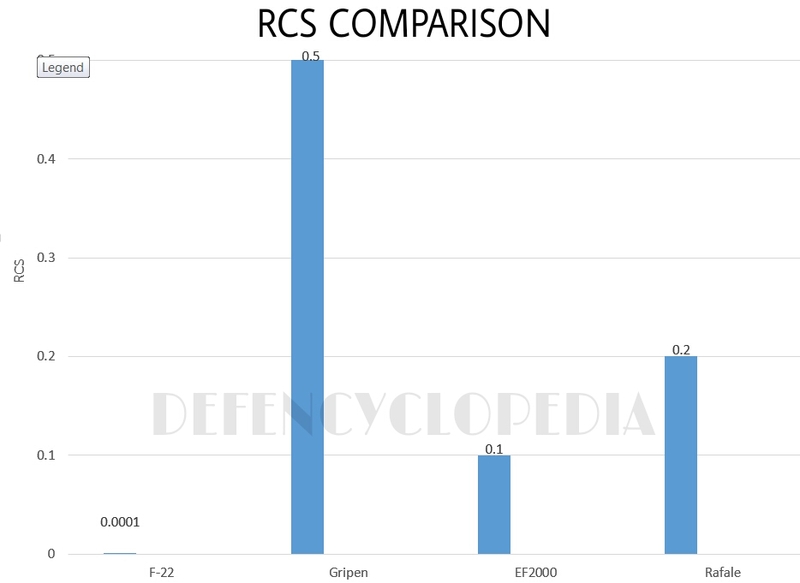 But the difference is that if a normal 5000 ton warship of 1000 m² RCS is detected at 100 km, a stealth design warship of 5000 tons and 200 m² RCS would be detected at the same distance, but will appear with a much smaller blip on the radar. This makes it similar to a small 1000 ton ship which confuses the enemy in the radar clutter which has hundreds of ships on screen. A 1000 ton ship of 100 m² RCS with stealth features can appear like a 250 ton merchant ship of 10 m² on radar and the enemy will not know the difference between these warships and smaller merchant ships. Naval stealth is mainly to appear smaller and blend in with other ships and boats. A 10,000 ton destroyer of 2000 m² RCS would be a prime target for the enemy in a conflict if it is sailing among a fleet of warships which are significantly smaller. 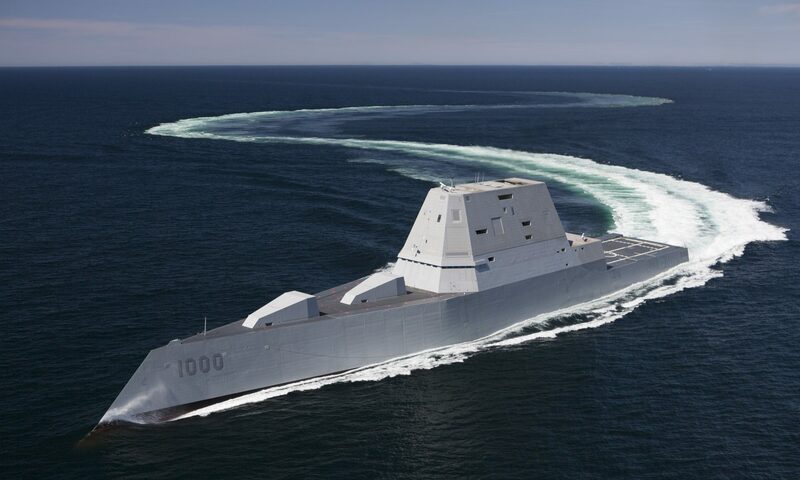 But if this 10,000 ton ship uses a stealth design like the Zumwalt, it can appear as big as the 5000 ton warships on the enemy radar and they won’t be able to pick out valuable targets. The Visby class corvettes of the Swedish navy are the world’s first operational stealth warships. This is a 640 ton ship but it would appear as small as a tiny 20 ton boat on the enemy radar. This allows it to hide among fishing boats and launch sneak and stealthy attacks. In this age, every counter-tech has a counter-counter tech. Now stealth aircraft appear invisible only to a certain range of radar frequencies. Modern systems using the L-Band radar are said to be capable of detecting stealth aircraft. Stealth aircraft have to hide their infrared signature and not just their radar signature to prevent detection from the enemy. Modern systems like Infrared Search & Track will be able to detect stealth aircraft from far off by detecting their IR signatures. So just by using radar absorbing paint, you can’t hide an aircraft from the sky. Stealth aircraft are visible when they open their weapons bay doors to release their weapons. One of the biggest disadvantages is its extremely high manufacturing, operational and maintenance costs. The Radar absorbent coating is extremely fragile and needs to be replaced after being exposed to combat or harsh weather. Can you please add stealth tech used in SU T-50 ?? I heard it uses some Plasma stealth technology . How efficient it is ? Sure. Once I get more details I’ll add it. Yes. Your article, explaining ‘stealth’ technology is more informative. nIce one!….specially the warship part….i always thought that how the stealth is useful for big and slow moving ships…now i know that its not about their low RCS but the comouflage that helps it…thanks! Very informative except I would have refrained from using the F-117 as an example, as its ‘stealth’ technology hasn’t really worked from the outset. But for everything else, thanks! 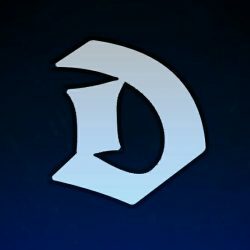 This is a very elementary article on stealth. I would like to cover in a little more detail the difficulties of achieving and manufacturing stealth aircraft. 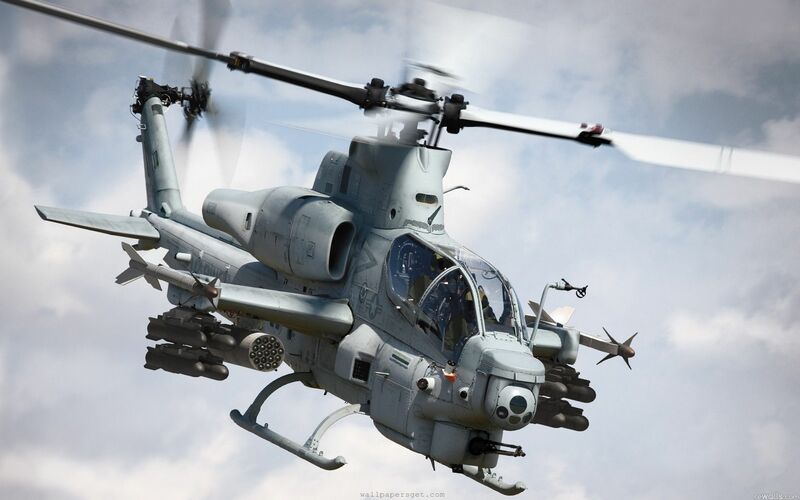 A major barrier to achieving true stealth technology is machining the composite materials used in the construction of the outer panels of the aircraft. Composite panels are very difficult to machine without causing material delamination. Once this occurs the panel is ruined. The only practical way to machine such materials is with “routers” using diamond bits. However composite materials are extremely tough on diamond bits. At one point the US was destroying a diamond bit every four feet of cutting. The latest information I can find is that the US has extended bit life to 18 feet. The US made a design decision to not construct the external extensions of the fuselage completely out of composite materials. Composites are mostly transparent to radar, but there must have been significant difficulties or expenses in engineering structural members, fuel and sensor lines etc. out of radar transparent materials. If one looks at closeup images of the F-22 skin one can discern thousands of tiny triangles machined or molded into the structure of the composite. The US used such incredibly expensive techniques to obtain the F-22’s 0.0001 m^2 RCS. into the material which will absorb the energy of UHF and VHF EM. The third is to distribute those nano particles in matrices in the coating to conduct the energy away from the top surface of the RAM. That is significant technology that takes more than a decade to develop. IR signature reduction is an art in itself. All modern stealth aircraft overlay their RAM with a coating of material designed to conduct heat efficiently away from “hot spots” to cooler areas of the structure. If the entire surface of an aircraft which is efficiently distributing heat from local hot spots is being cooled by the atmosphere the thermal signature is much less than if small areas of the structure disburses the same heat. Air flow dynamics and surface area physics. And then there are those jet turbines. There are numerous ways to decrease the temperature of exhaust emissions. For example air bypass of the turbine to mix exhaust with cooler air is a common strategy. The A-10 has an incredible bypass rate of 7:1. The F-22 and the F-35 have a ratio of 0.33:1. What can one do about that? The first order of business is to move that heat away from the aircraft. Therefore the exhaust aperture is made of ceramics which do not heat up to a great degree. The second step is to distribute that heat widely. Thus you see the serrated construction of the exhaust nozzles on the F-22 and the F-35. An interesting issue is the area of fuel additives to slow the rate or cooling in the exhaust of a jet turbine. The slower the release of IR from a planes exhaust the more disperse the signature. The Blackbird used a Cesium additive to the fuel for that purpose. That was the technology four decades ago. Purely speculative but I would not be surprised that US stealth aircraft do not add nano particles just for this purpose. I hope this helped a tiny bit.